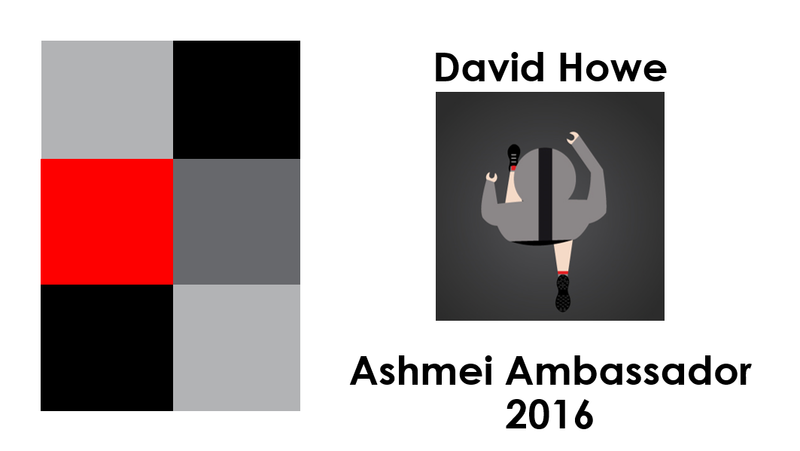 As I mentioned in my last post, I’ve been fortunate enough to be shortlisted to become an ambassador for Ashmei. In case you haven’t discovered Ashmei yet, they make clothing for runners and cyclists using really high quality materials and with a style you simply don’t find anywhere else in this type of clothing. I’ve had a couple of their long sleeve merino tops for a while and they are outstanding quality, and I’m not just saying that because I’m possibly going to be an ambassador for them. Their motto is to outperform the best and I feel they certainly do that well. Their clothes fit really well, they look fantastic and they wash great and as anyone who runs a lot knows, your kit gets washed a lot! They are having an ambassador day at their HQ this coming weekend for the people on the shortlist, but sadly due to family commitments I won’t be able to make it. Words can’t describe how disappointed I am not to be there, but family has to come first. Fortunately, the team at Ashmei recognise that not everyone might make it so we have the opportunity to create a 2 minute video to introduce ourselves and show them what we’ve got to offer. As someone who is working hard to overcome years of bodily neglect and become comfortable with how I look, making a video all about me isn’t something that comes easy, let me tell you! Despite my inhibitions, I set off out on Saturday in a rare day of sunshine to have a short run up my local hill to do some filming. Armed with my trusty phone and a mini tripod I took about an hour of footage in short clips that I planned to edit together using some simple video software. Having never done this before, I was excited to play around with all of this, but also unaware of what it takes to make a good quality video. Now, after a few days of tinkering around trying to make it as good as I can, I feel like I’ve got the final edit ready to send through to Ashmei. I also have to submit two Polaroids; one of myself in any pose and one of my choosing related to my sport. The Ben Nevis shot is me coming down after a torturous ‘run’ to the summit in my first Ben Nevis race last year. I was utterly exhausted and the down hill was at least as horrible as the uphill. Despite that, the sense of achievement was mind-blowing to run in that iconic race. So much so I signed up again this year! The Cascades is from my training run around the Alpine Lake area in the Cascades Mountains in Washington state, America. This was at the end of a work trip last Summer and was by far the best day adventure I’ve had. The weather was incredible, scenery even more incredible and running across big mountains fuelled even more running obsession for me. The Carnethy race is from this years first hill race and, I think, is the best running picture I’ve seen of me. The race was run in a blizzard, which I loved, and despite the weather I knocked 4 minutes off my time from the first time I ran it last year. It was a great measure for how far I’ve come in the year I’ve been running hill races. 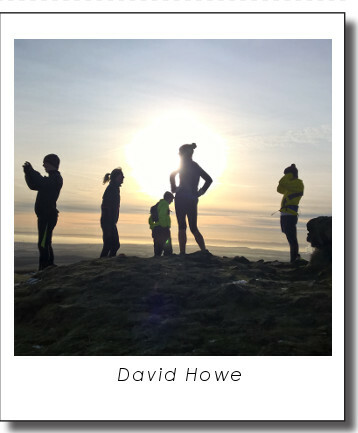 This was taken on a frosty winter run to the summit of West Lomond with the trail runners. As is the norm, we stopped on the summit and took in the views. While everyone else was staring at the big peaks of the Cairngorms and Trossachs on the horizon, I chose to capture my friends as they enjoyed the moment. If you have any feedback before I submit my Polaroids, I’d love to hear from you.